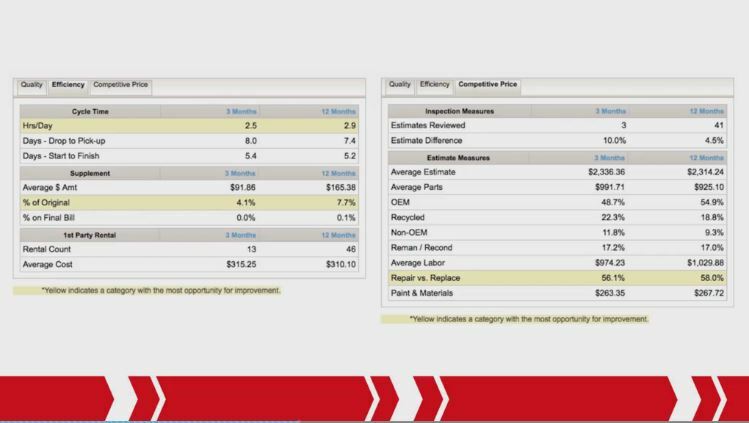 A State Farm video recapping 2015 trends and advising Select Service shops on 2016 best practices could give mixed messages regarding quality if a shop isn’t careful. The first and foremost role of the shop is to provide a quality repair, claims manager Gregg McDonald says in a recent video sent to direct repair program shops and provided to Repairer Driven News. Shops should have quality control plans and be “actively utilizing that process in each step of the repair,” he said. We’d agree with all that. But shops are also being told to minimize cost, and while there’s nothing inherently wrong with trading margin for volume with a DRP, some of State Farm’s suggestions for lowering its bill could be counterproductive to quality if a shop runs too far with them. State Farm will cut shops in certain overcapacity markets in 2016, and lower-performing facilities will be axed to send volume to top-performing shops who aren’t seeing enough business, according to the video. 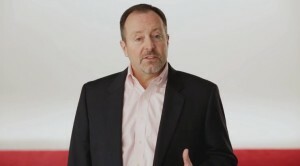 To survive, McDonald advised shops focus on the “highest quality and most competitive repairs possible.” The insurer also stressed cycle time earlier in the video, saying the best ways to lower it were a complete repair plan and accurate parts ordering. Some shops, he said, achieve “competitive price” through lower labor rates, judgment times, parts discounts or more non-OEM parts. “Some use a combination of approaches,” McDonald said. However, repair versus replace shops “are among our most competitive,” he said. “These decisions are yours,” McDonald said. “Any of them can yield positive results on the RPM.” He encouraged shops to focus on their three RPM areas highlighted as needing improvement. But some RPM areas might not be as simple a cost-controlling measure as they once were as vehicles grow more complex and demand greater attention. For example, even if a shop would like to repair more parts, it might not be able to do so and deliver a proper repair. OEMs increasingly call to replace more advanced components on vehicles — particularly in structural areas key for safety. And putting aside the debate on whether even certified aftermarket parts are truly “pre-loss quality,” the demand for more non-OEM parts in general could also grow more difficult to satisfy in 2016 as auto sales boom and newer cars with newer features reach the market. For example, you’re not going to be able to obtain aftermarket cameras and sensors. And you’re not going to make a customer happy putting aftermarket parts — even certified ones — on a leased or new 2016 model-year vehicle. It’s also important to note that the pressure to cut cost also doesn’t absolve a shop of liability should something go wrong, as experts have warned. McDonald does note a significant increase in technological automotive features in State Farm’s list of important 2015 trends. However, State Farm seems to be talking about advanced safety features, connectivity and the like, and oddly seems to miss the other big technology story of 2015: materials like aluminum (the No. 1 selling truck in America and probably the future of hoods and body panels) and advanced and ultra-high-strength steels (the Honda Civic). These aren’t like traditional automotive steels at all. Considering that CARSTAR bragged mid-year of being ahead of the MSO curve on F-150 aluminum preparedness and I-CAR reports that a shocking low percentage of the entire collision repair industry is certified to weld such advanced materials, that seems like something to emphasize. Collision repair industry consolidation, “as we say every year,” McDonald noted.